Aging power equipment – Older equipment has higher failure rates, leading to higher customer interruption rates, higher inspection maintenance costs, further repair and restoration costs, and potential exposure to regulatory penalties. 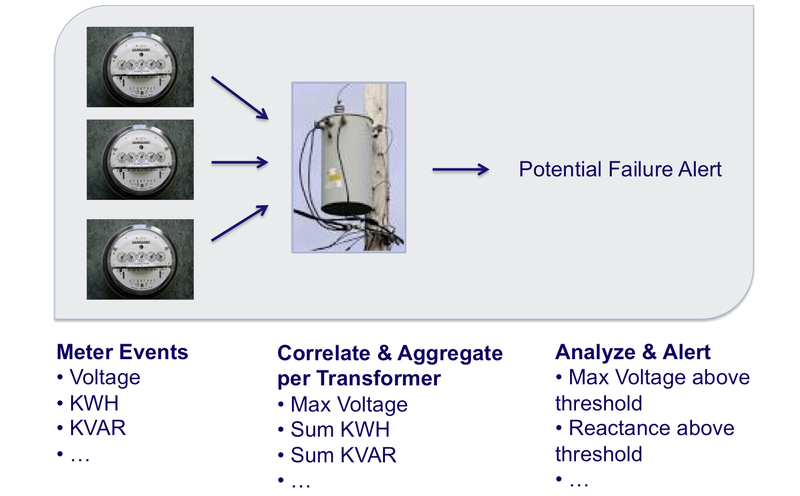 Outdated monitoring technology – Traditional tools for power delivery planning and monitoring are ineffective in addressing problems with current equipment. The ‘Internet of Things’ – Smart grid devices are now being integrated into the information network. Services and technologies must now be made available to interact with these smart devices over the network, query and change their state and any information associated with them, while taking security issues into account. Sensor data can stream in power equipment much more frequently — and at lower cost — than collecting the same data manually. This machine data can then be enriched with other data streams from weather, seismic activity, and social media sources, to paint a more complete picture. This real-time insight in context helps guide skilled workers to do what sensors cannot: predict equipment repair or replacement. Vitria OI can make sense of this large, multifaceted data set to discover subtle patterns and compare expected with actual outcomes to answer questions such as, “Did a piece of equipment fail sooner than expected, and if so, what similar equipment might be at risk of doing the same?” With Vitria OI, utilities are able to pinpoint the problem with more precision so that they can repair only the problem component. By leveraging Vitria OI, repairs can be made on much more of an as-needed basis, reducing spare parts inventory requirements and the number of maintenance operators, while simultaneously improving equipment and grid reliability. Vitria OI can help detect undesirable equipment behavior in real-time, and automate alerts and notifications to help keep service quality within a defined satisfaction level. The number of outages can also be reduced and outage duration shortened by remotely controlling intelligent grid switching devices. For instance, a sensor might detect a fault on the electricity grid and Vitria OI would be able locate it so that it can be isolated before it has time to affect other areas. Similarly, Vitria OI can be used to alert energy or utilities firm’s outage management system, allowing the utility to immediately dispatch a crew and keep customers updated during and after the incident. 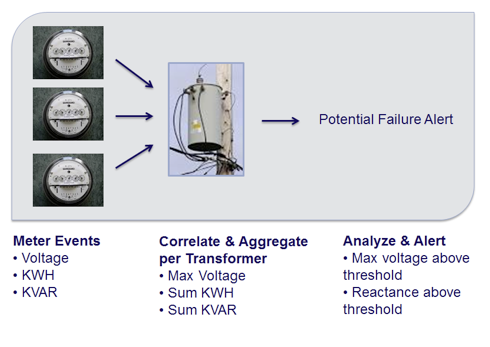 Before the advent of an OI solution, utilities were often unaware of such outages until customers actually called in.